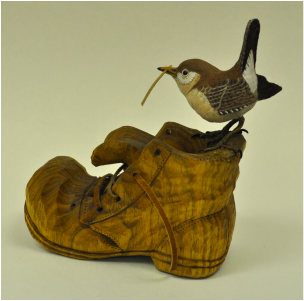 Artist Statement: I have carved 993 lifelike birds, taking up to 900 hours to ﬁnish one. My most popular items are the carved wooden bird feather pins, painted with such lifelike precision youʼd think a slight breeze could carry them away. 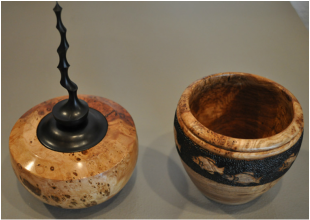 I also lathe-turn wooden vessels and pendant jewelry which are sold at the Arts Center Retail Gallery.